I have a winner to announce!!! This is going to be a short post since I am on vacation but I wanted to announce my blog winner from last weekends blog hop with 3 Scrappy Boys. First have to say...darling tag!!! Love the colors of it, the stamped(?) banner, the way you created the 4, the confetti and the ribbons on the tag are amazing! Love it! As for a favorite number, for some reason I like 8. Not sure why. Thanks for hopping with us Sally!!! 3 Scrappy Boys is celebrating 4 years with a blog hop, welcome!! If you found your way here from Valerie’s blog you’re in the right spot. If you stumbled across this hop by chance head over to 3 Scrappy Boys so you don’t miss any of the FUN! To celebrate 3 Scrappy Boys 4th anniversary I created this tag. I used 4 different papers (WeR, Fancy Pants, Bazzill and Echo Park), 4 different ribbons, a number 4 (Tim Holtz), 4 sequins, 4 chipboard stars…do you notice a theme?? ;) You can find all of these types of things over at the 3 Scrappy Boys store. A fun little tag right? Well before you move on to Stacia’s blog (your next stop on the hop) make sure you leave a comment here to qualify for the 3 Scrappy Boys prize. For even more fun I will be giving away a little bundle of 6x6 paper pads from Basic Grey (picadilly, shine on and little black dress). All you have to do is tell me your favorite number and why in your comment, easy peasy! There is a lot of other fun stuff going on! Head over the the 3 Scrappy Boys forum for challenges and more prizes. We will be hopping until Sunday November 24th at midnight. 3 Scrappy Boys winner will be announced on the 3 Scrappy Boys Blog and Facebook Page shortly after. My winner will be announced Wednesday November 27th right here. Now just in case you get lost here is a list of hop hostesses with a link to their blog. Have fun and thanks so much for hopping with us!!! See you SOON!! This month over at VLVS! the November challenge is perfectly FALL! I was inspired by the grid, checkerboard, rays, stitching, watermarks and COLORS from this inspiration photo. And with that… I did this tag. I used the grid washi background and tried the embossed resist technique DeeDee demonstrated just recently with the ultra high gloss embossing powder, you can see it here. I also used the dandelion and extra seed stamps. You will also see UmWow Studio awesomeness; butterfly confetti (LOVE this), ‘dream’ from the everyday speech bubbles, light bulb mask and flair from the make a wish set. I also used May Arts ribbon, Distress ink, Tattered Angels glimmer mist, crackle paint, Prima checkerboard mask, Archival ink and my sewing machine. You have until the end of the month to get entered to win some AMAZING red rubbah!!! I look forward to seeing what you come up with!! Over at Scrapki-Wyzwaniowo the current challenge is a FUN one!! The blog is sponsored by 7 Dots Studio whose collections are AWESOME!!! I used Domestic Goddess Sugar and Spice designed by Anna Dabrowska-Pekacka. I also used Um Wow Studio layered circles, circle confetti, circle confetti mask and flair from the our princess set, VLVS! stamps sm;)e and french writing background, May Arts ribbon, washi and punchinella from Gauche Alchemy and Prima flower and finding. All the bright color is Distress paint. Ahhh, just thinking about getting my pedicure is making me SMILE!! Drill #20 is up over at S.W.A.T. and this challenge is a PageMaps sketch…of course there is a twist! You have to use a feather on your project. I used all MME paper from several different collections, Cut and Paste, Lush and Lime Twist. My feathers are chipboard from Um Wow Studio (contoured feather) that I covered with Distress paint. Let’s see…KaiserCraft and Prima flowers, Prima butterfly clip, American Crafts lace ribbon, Tim Holtz alphas, VLVS! coffee ring stain stamp, Distress Ink, sequins and some punches. Thanks for stopping by! I hope you’ll leave a comment and that I will see your project linked up over at S.W.A.T.!! There is a great prize up for grabs so make sure you check it out!! My favorite Christmas line this year has to be Fancy Pants Merry Little Christmas and when I saw it in my October kit from Scrappy Chic I was excited!! I used it along with Fancy Pants corrugated cardstock to make this card. I also used several Tim Holtz dies for this shadow box style card. 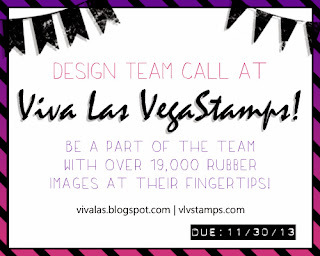 Crinkle ribbon stained with Distress stain, Archival ink, stickles, liquid pearls and a Viva Las Vegastamps! sentiment stamp. Oh yeah, I love the whimsy of this paper collection! OK, so Christmas is not that far away and it is definitely time to start the holiday crafting!!! 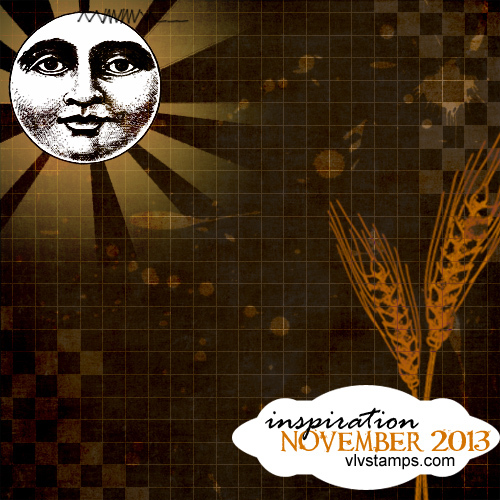 In my Scrappy Chic kit for October I had some Carta Bella, swoon…So This is Christmas. I made a boxed set of Christmas cards. The tree stamp is a Penny Black, sentiment stamp from Viva Las Vegastamp, Tim Holtz reindeer die (movers and shapers), May Arts burlap twine and stickles. I used Archival ink to stamp with. I used my Cameo to cut the box, it fits 4 cards and envelopes perfectly!! At Scrapki-Wyzwaniowo the challenge is fear, click here for more details. I recently got my hands on some fabulous 7 dot papers, I used What Wood U Say from Messy Head. I LOVE this line!!! I also used a couple of UmWow Studio chip pieces: swallow and ray background, Gauche Alchemy punchinella and washi tape, prima flower and brad and May Arts ribbon. You will also see thread and sequins from my stash. 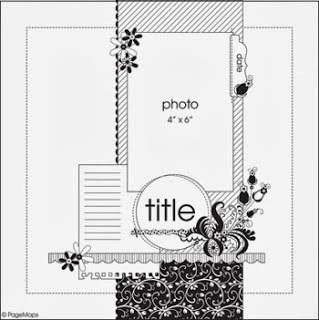 I love the white space on this layout, that is a new concept for me but I think I will try more of it!! My October kit for Scrappy Chic was chock full, as I said before, and this Authentique Natural Collection was one if my favorites!!! I used is for this layout that is all about my niece’s 7th birthday and her very first birthday wish list. I used Enchanements, Daydream and Native from the Naturals collection, and that was the only paper I used which is unusual for me. I also used layered hearts, heart confetti, heart confetti mask and flair from the dream a little dream set all from Um Wow Studios. I am linking up over at Authentique and UmWow Studios for their Throw Back Thursday challenge going on the month of November. You can check out the details here. I look forward seeing your entry!! Well, Halloween is done and now it is time to start thinking about Thanksgiving…so in the spirit of this November holiday S.W.A.T. drill 19 is ‘Gobble til you wobble’. You need to use a recipe card or picture of food or drinks on your project. Now I don’t really take pictures of food or people when they are eating, LOL, but drinks…now that is a different story! I used the Prima Delight Collection, Destinations. You will also find a bunch of my favorite products on this layout too, like Um Wow Studios harlequin mask, flair from the Vintage Flag set and diamond confetti AND Viva Las Vegastamps coffee ring stain, writing background and crackle background AND May Arts ribbon and twine AND Distress inks, Color shine mists, gesso and Tim Holtz alphas. Confetti and flair, oh my!! I hope you are inspired and link up over at S.W.A.T. this month. Have some fun and GOBBLE TIL YOU WOBBLE! !